Have you guys been to a restaurant that when you left you were like ‘WOW”? That’s how if felt after leaving Fernanda. The food was out of the ordinarily good. The combinations were creative, but not in that way where you feel that the chef is trying too hard. Instead, probably because the dishes were so well executed, it felt like the food was simply the result of truly inventive culinary mind. The decor and the location probably also had a little bit to do with my impression of the restaurant. It is tucked away on an unassuming primarily residential street on the outskirts of the Trastevere neighborhood. (In fact, Diego and I showed up at the beginning of the street, convinced we were in the wrong place. We would have turned around, if we hadn’t spotted our friend and Roman local, Davide, that had suggested the restaurant. I kind of felt like was our little secret (a secret I’m now letting you guys in on). The decor was all simple clean lines with the use of a lot of lightly stained wood contrasted by a few dark accents. This combination helps ensure that Fernanda feels warm, welcoming, and modern. If you’re thinking 55 euros isn’t chump change, you’re right it isn’t. But try having a meal of this quality in the States, I can almost guarantee you’ll spend at least three times as much. While Osteria Fernanda doesn’t have a Michelin Star, the guide has taken notice of this great restaurant. Personally, I think if the restaurant was a little more Michelin "starry”, meaning more space between the tables, a little more formal in their presentation they would have already received a star. (Thus the title of this article) The food was that good. Be an insider, go to Osteria Fernanda! And promise to let me know what you think. 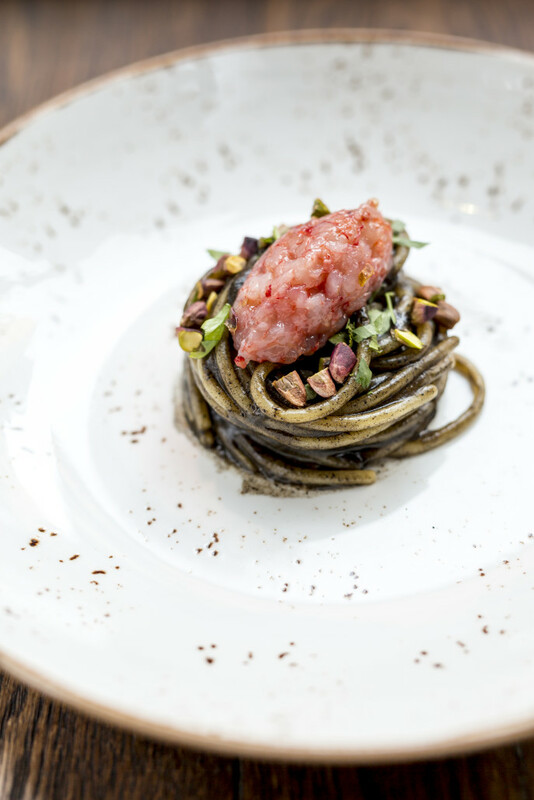 The photos of Diego and pasta dish were taken by me, everything else is from the Osteria Fernanda website and Facebook page.